Many congratulations to Mr & Mrs Collins who got married on the 21st July 2018 and had their wedding reception at Old Down Estate. 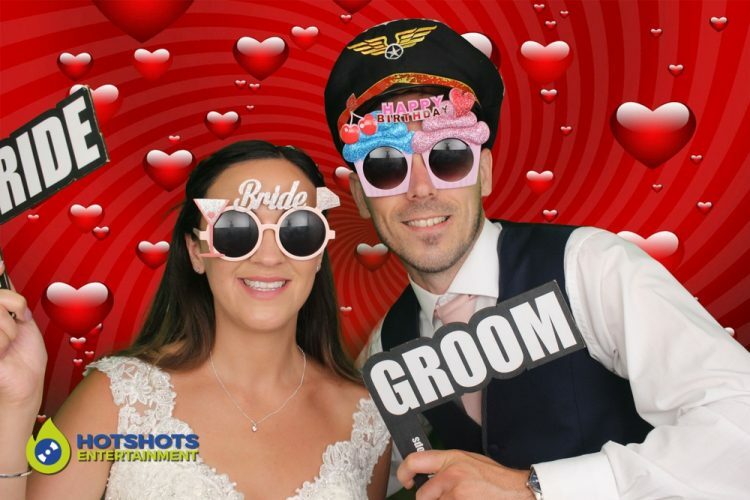 Hotshots Entertainment was booked to provide a photo booth hire and what a night it was Derrick was on duty. He said there was so much laughing, fun and good pictures taken. The weather was perfect but that did not stop the guests having a great time. The bride and groom looked stunning and being Bristol Rovers supporters they requested a background from the stadium. Loads of pictures were taken, the Bride and Groom have asked for them to go on a private gallery HERE. They have been sent all the details including the password, get in touch to see the great pictures that were taken.